Looks like another Gundam AGE unit is added to the ever growing Gundam Extreme Versus Maxi Boost roster. 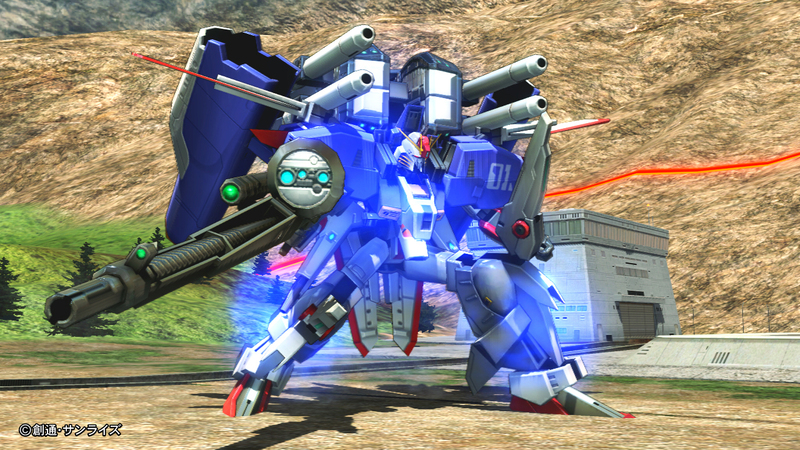 This time it’s Gundam Legilis, a 3000 cost unit that can put out a lot of pressure with its usage of the Legilis bits and its speed. It’s interesting this was released before AGE-3. And although I would have liked to see it in its red incarnation, there’s already the Zeydra that’s also piloted by Zehart Galette. Check out the video below to see it in action! Bandai Namco have just recently uploaded a new countdown site for Gundam Extreme Versus Maxi Boost. Apparently, this is for a brand new update to the existing game and is heralded as “the most exciting version.” While my personal exciting version would be a home release as we still have not received word as to when that will show up, I’m guessing this update will have massive balance changes across the board and possibly new units as well. 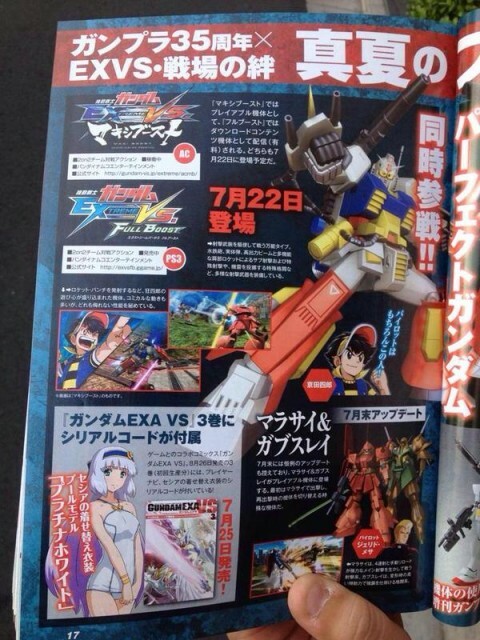 Perhaps this might also be a shift in how Gundam VS games will be updated from now on versus incremental sequels. Another thing to note is that the countdown date expires around the same time Playstation’s Paris Game Show event starts next week! Coincidence? Let us know below about what you think will show up in this update. A couple months ago, we reported that Bandai Namco had registered the trademark for Gundam Extreme VS Force. This is presumably the fourth version of the series, which I doubt coincidentally is why it is given the moniker “Force.” With TGS 2015 coming soon, it appears the game has been leaked to be shown at the Japanese games convention for the very first time. With their recent pledge to bring future games to both the PS4 and Vita, it would be very interesting to see if Bandai Namco does have a console version of the game in store. But according to history, this will more than likely be an arcade title with Maxi Boost coming to consoles sometime late this year or next. Either way, it’s good to hear some new information regarding the series’ future. Until then, let us know what new units and mechanics should be added in Force! 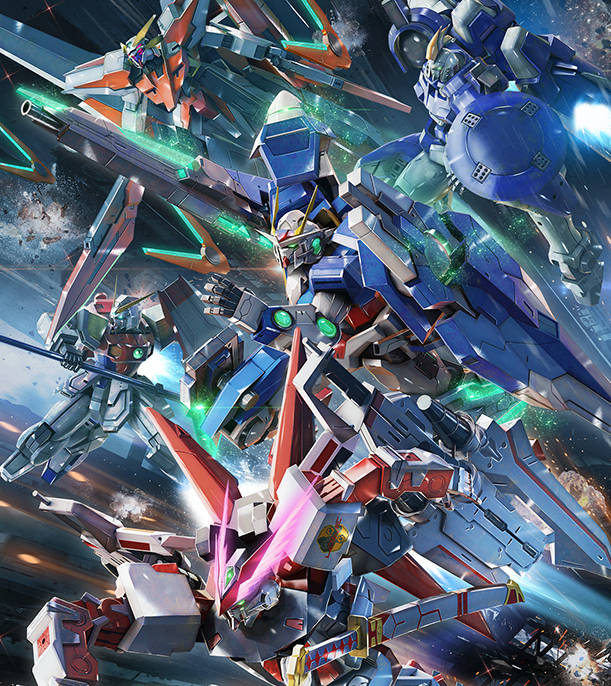 As part of the Midsummer Maxi Boost Festival, even more mobile suits will be released for the Gundam Extreme Versus Maxi Boost in the arcades. They are the Nightingale, 00 Qan[T] Full Saber and Perfect Gundam. The first two units will more than likely be 3000 cost, similar to their predecessors already in the game (Sazabi and 00 Qan[T]). It will be interesting to see what type of gameplay Nightingale will bring, whereas Qan[T] Full Saber will be even more melee oriented than the original version. Perfect Gundam will be a 2000 cost unit and the first entry from the Plamo Kyoshiro manga. We’re looking forward to seeing what kind of other units will be on the way during the next couple months. Let us know what you think of these new inclusions in the comments below! The next mobile suits to join the Maxi Boost roster are the Marasai/Gabthley combo from Zeta Gundam. Piloted by Jerid Messa, the 2000 cost unit allows you to switch between the two mobile suits. While the switching mechanic is currently unknown, this isn’t the first suit to allow you to change into different units during a match. The Kapools had a tag mechanic that allowed you to change between what was essentially ranged and melee mode. While that doesn’t appear to be the case in the Marasai/Gabthley combo, we’re sure there will be definite advantages to choosing either suit. Let us know what you think of this addition and be sure to check out the video below! More units are coming in the form of Perfect Gundam and Marasai/Gabthley for both Maxi Boost and Full Boost. Scheduled to be released on July 22nd, these two units will be the 9th and 10th additions to the Full Boost roster since the 1.08 patch went live in May 2015. While not much has been discovered regarding the units’ playstyles, Perfect Gundam’s addition represents another Gundam manga series to the EXVS franchise in Plamo Kyoshiro. As for the Marasai/Gabthley, it will be interesting to see if the switching mechanic is similar to the Kapool tag mechanic or is like Char’s Zaku II where some moves switch to Char’s Z’gok for a set amount of time. It is interesting to see that Bandai Namco is still actively supporting Full Boost through brand new units that have yet to appear in Maxi Boost, which raises questions about Maxi Boost’s eventual console release. Anyway, let us know what you think about these two new units in the comments below! According to Esuteru, Bandai Namco have registered the trademark to “Gundam Extreme VS – Force” in Japan. 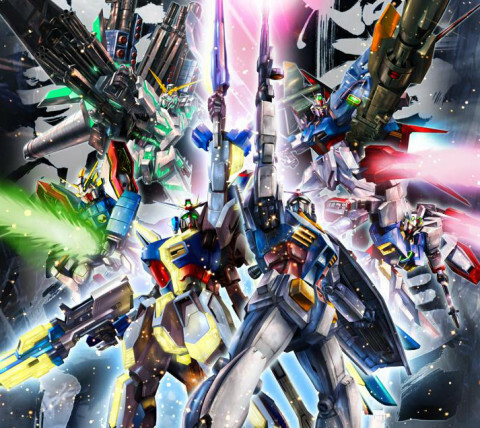 As it has been awhile since we’ve heard any news regarding a new version of the Gundam Versus franchise, this appears to solidify the next sequel will still be carrying the Extreme moniker. Whether or not this will imply no paradigm shift in the gameplay mechanics is still up in the air, but it is great to know that they are working on a new version. Does this mean we’ll be hearing about a Maxi Boost console version soon as well? Let us know what you think in the comments below! 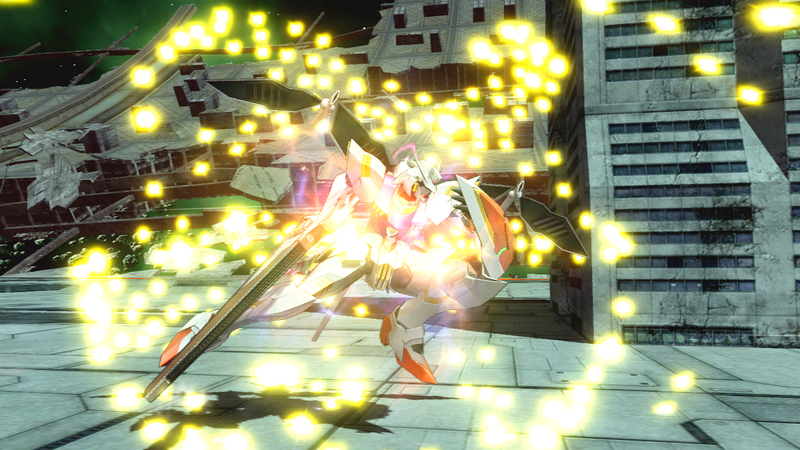 Another Wing Gundam TV suit joins the party in Gundam Extreme Versus Maxi Boost with Tallgeese II. Piloted by Treize Kushrenada, the blue version of the Tallgeese siblings is a 2500 cost unit and looks like it takes moves from Tallgeese I from Next Plus and Tallgeese III. It comes equipped with its famous dobergun and a Lady Une-controlled Wing Gundam as an assist. It’s Burst Attack even has Wing Gundam pushing the Tallgeese II out of Libra’s cannon blast, just like in the show. Check out the video below and let us know what you think of this new addition! 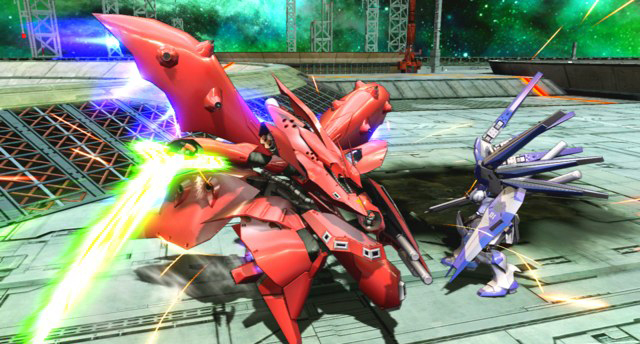 Several new units for Maxi Boost have been announced after the recent 2015 Premium Dogfight. 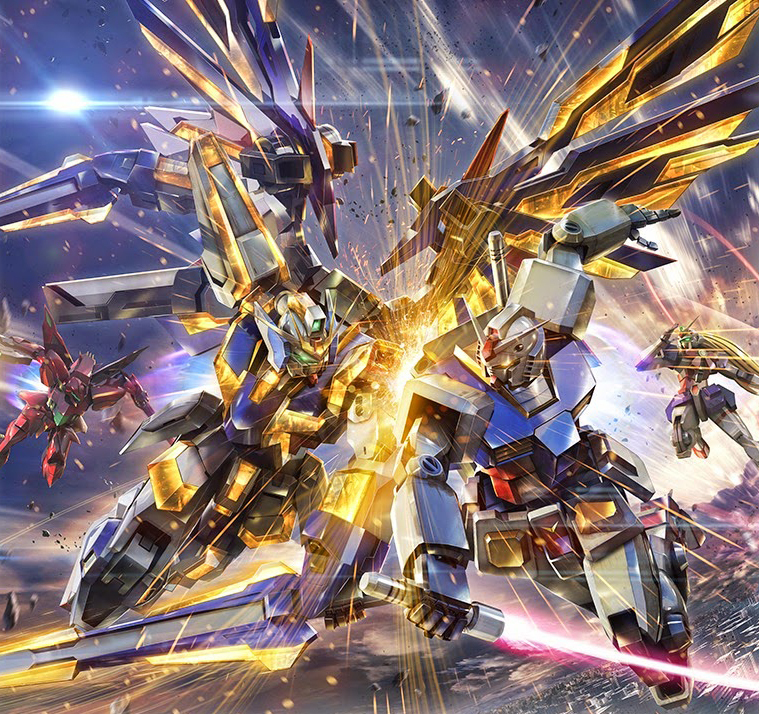 They are Astray Red Dragon (2500 cost) and 00 Gundam Seven Sword/G (3000 cost), both variants of existing units currently in the game being Astray Red Frame and 00 Raiser respectively. 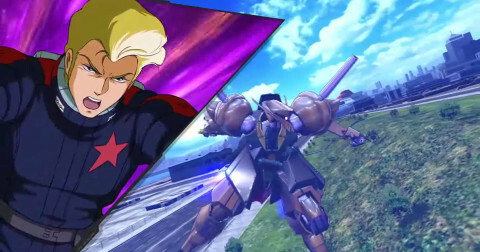 Rising Gundam (1500 cost) is also officially being released on the 28th of May and adds another G Gundam fighter to the mix. It’s interesting to see more variants come into play even though Seven Sword/G was already teased in the Maxi Boost intro. Both Seven Sword/G and Astray Red Dragon look to be melee centric units, so it will be interesting to see how well they fall into the current roster with their toolset. Make sure to check out the videos below and let us know which units you’d like to see next! 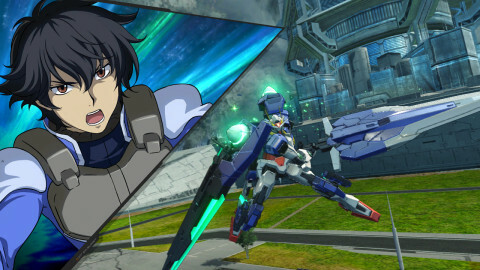 After nearly a year and a half since its release on the PS3, Gundam Extreme Versus Full Boost will be getting a Best re-release on May 28th. If you were waiting on a cheaper price point, the game will now sell for 3,800 yen excluding tax. 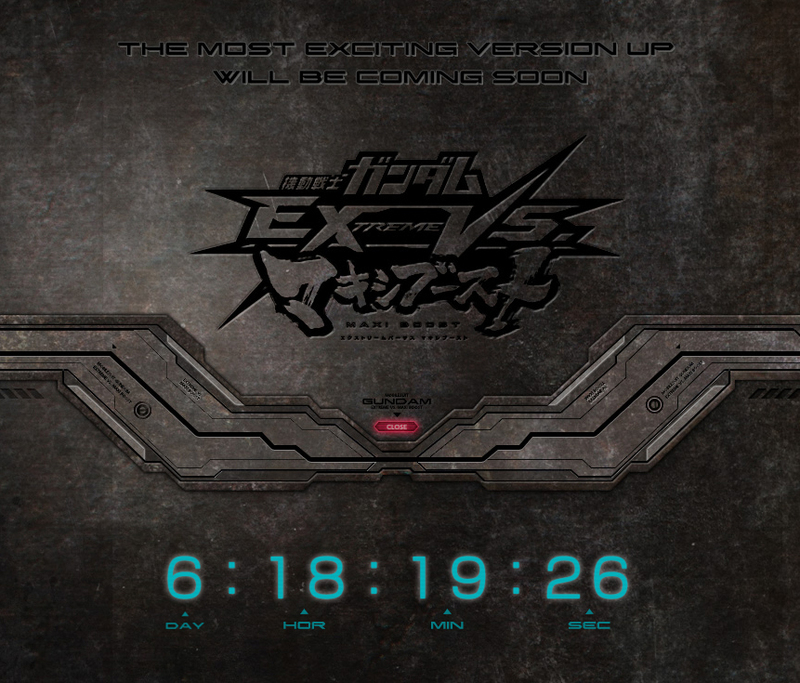 It will also come with the Ex-S Gundam downloadable code which was initially a first print exclusive to the original release of the game. No other DLC will be packaged with it at the moment, so you will have to get those separately. Of course, the online pass will probably be included as well. And if you’re one of the lucky ones to be playing Maxi Boost in Japan, there is also a limited edition Haro HUD, emblem, title, and 100,000 GP points for your Maxi Boost profile. Hopefully we’ll hear of a Maxi Boost port to either the PS3 or possibly PS4 sometime soon.